A few months ago, I actually spent a night organizing my scrap bin by colour. 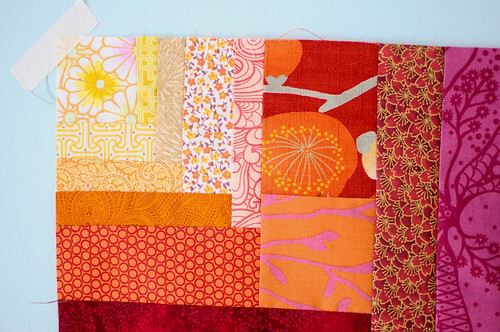 This made the patchwork process so much easier, since I had little bundles of each colour that I could just choose from. As I was working away on my Christmas gifts, I started thinking about making a little patchwork block that was based on the colour wheel. I decided to do a half log cabin and started with a sunny yellow corner and worked outwards through all the colours. I really love how this turned out! The block is approximately 20″ square. I am simply going to baste this block, quilt it and bind it. It looks great on our dining room table, but I think it will also look great hanging on the wall. 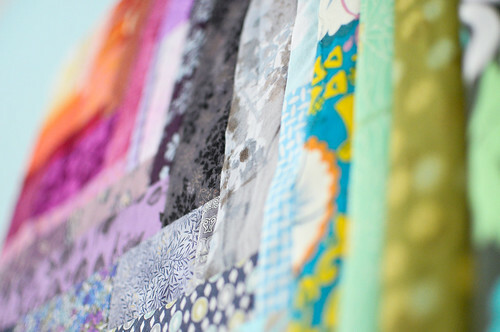 I have officially fallen in love with mini quilts. I’ve got a bunch of ideas for more scrappy blocks. I really enjoyed free style sewing all the pieces together. 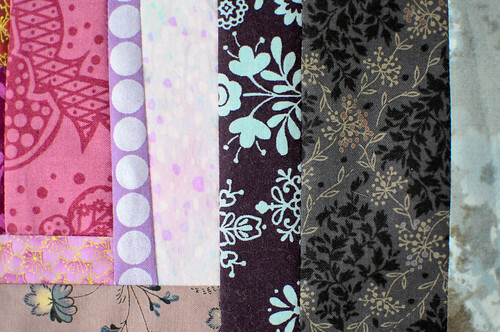 I’m thinking that Sunday nights are going to be my ‘mini quilts’ night. I had so much fun and felt so inspired by the process. These look beautiful! I’m in the middle of a scrap project myself–making a coloured pencil roll for my niece for Christmas. It was so satisfying putting together a rainbow pallet largely from scraps. 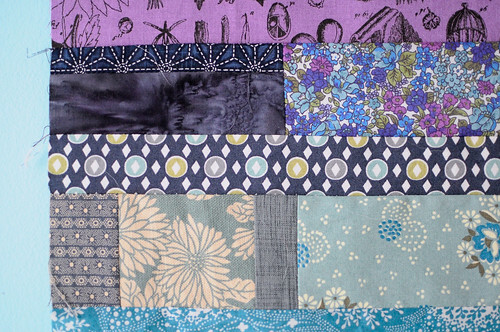 How about a scrap swap one Quilt Sunday? Awesome! I love what you get when you just start sewing scrap together. I got an entire quilt out of bag of scraps a friend gave me last year. It was so fun to see what I was getting that I just couldn’t stop! So pretty! I think I started drooling when I imagined what’s in your scrap bin! I really have to learn how to quilt!! this is seriously gorgeous!!!!! AHHH!!!! Just lovely! I love sewing from the scrap bins. I wish I had more time to sew that way. It is the most satisfying feeling! There’s a great idea for a class! 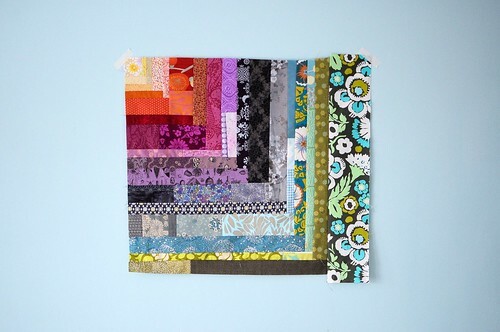 Fun with scraps! Your colours are gorgeous as usual Karyn!